Better life quality, prevention of illness, happiness and longer life expectancy are just a few of the benefits sport can offer us. Taking moderate amounts of exercise on a regular basis boosts not only our physical health, but also our mental wellbeing, as well as helping us to adopt healthy lifestyles that will reduce the factors that put our wellness at risk. If you love sports but are also passionate about travel and experiencing new sensations, then read on! In this post we provide details of the sports you can enjoy on Majorca whilst also discovering the most delightful spots on this paradisiacal island. Tennis is one of Majorca’s most popular sports, as the island boasts a climate that is ideal for playing outdoors all year round. The THB Sur Mallorca**** (Colonia de Sant Jordi) and THB El Cid**** (Playa de Palma) hotels have courts where you can continue to play your favourite sport even when you’re on holiday. What’s more, tennis lovers should take the time to visit the Rafa Nadal Museum Xperience. Majorca has literally hundreds of hiking routes – good news for everyone who is eager to do more than just spend their holiday sunbathing on the beach and would also like to discover the island’s most picturesque spots. Pareis Torrent. This is one of Majorca’s best-known routes. Tackling this five hour hike requires being in good physical shape and experience in tackling challenging terrain. The months of April, May and September are best for embarking on this adventure. Puig Massanella Peak from Lluc Monastery. Puig Massanella may not be Majorca’s highest peak, but it is definitely the most accessible, rising 1,364 metres above sea level. 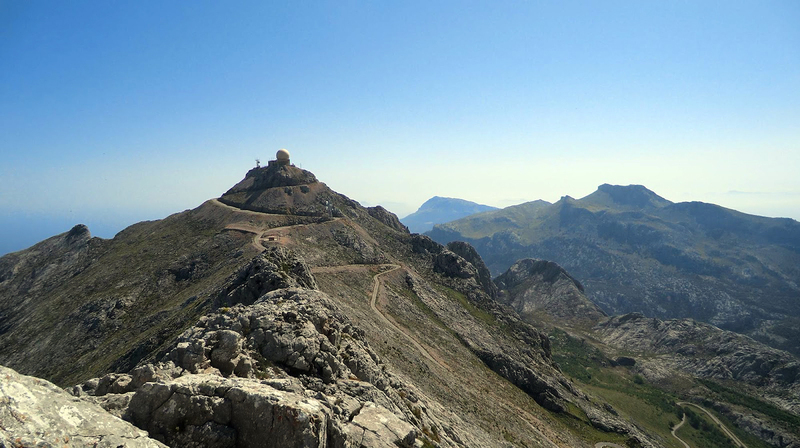 The summit affords breathtaking views of the island and Puig Major (Majorca’s highest mountain which cannot be climbed without obtaining prior authorisation). The large number of official signposted routes suitable for all levels and the fabulous weather have made Majorca a firm favourite with cyclists from all over the world. Recommended for all ages, cycling is a low impact aerobic sport that is ideal for muscle toning and shaping. It can be enjoyed either alone or with a group, and offers a magnificent eco-friendly chance to admire Majorca’s magnificent scenery. Cycling on Majorca peaks from January to May and between September and October. You’ll find details of the best routes here. The facilities at our THB El Cid **** (Playa de Palma), THB María Isabel **** (Playa de Palma) and THB Felip **** (Porto Cristo) hotels include a garage where you can store your bicycle. If you do not have your own bike, you may hire one that adapts to your size and style. It’s no secret that the waves that bathe the shores of Majorca are truly outstanding. The island is the perfect choice for surf lovers, especially certain spots on the north-east coast such as Cala Mesquida, Cala Agulla, Son Serra and Cala Torta where having fun with the waves and your surfboard is possible for more than 20% of the year. The warm temperatures, relatively strong winds all year round and the coastal relief all come together to create ideal conditions for surfing on Majorca. A stay at any of our hotels located in the north of the island – the THB Gran Playa **** (Can Picafort) and THB Guya Playa **** (Cala Ratjada) – will mean that you are just a few steps away from the very best waves. 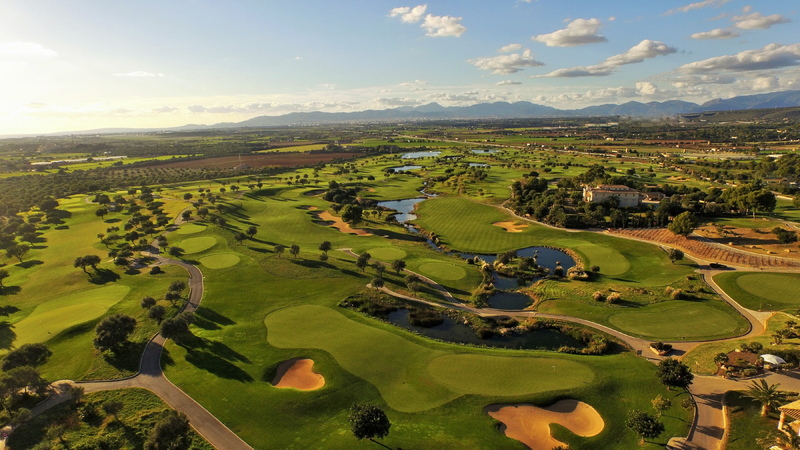 With more than 20 first class golf courses, Majorca truly is a golfers’ paradise. What’s more, in recent years it has become one of Europe’s top destinations for amateurs and professionals alike. Golf offers unique benefits for health, as well as boosting coordination skills and overall physical fitness. Suitable for all ages, this is a sport that can be enjoyed outdoors all year round thanks to the island’s superb climate. You will find numerous golf courses dotted around the entire island. 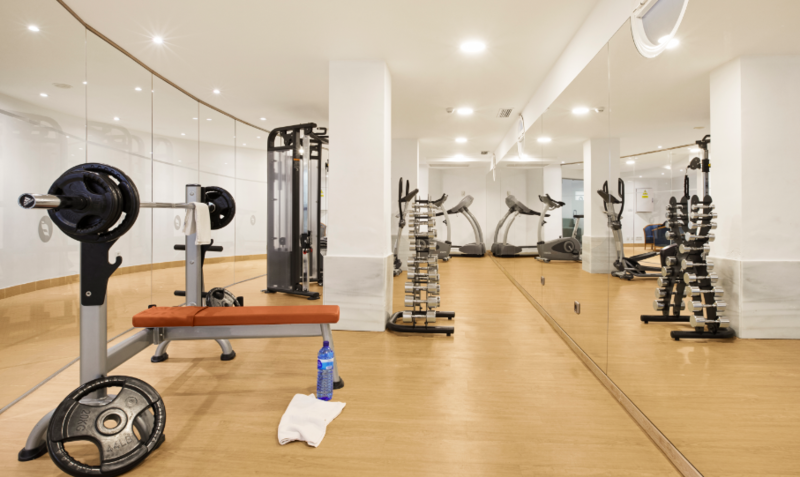 We know that sport tops the list of many of our guests’ holiday must-dos, which is why the facilities at our hotels include fitness areas equipped with muscle-building and cardiovascular machines so they can stay in shape. Choose the THB hotel on Majorca that suits you best for its range of sports options and location, and enjoy a fabulous holiday experience without giving up on your fitness routine!